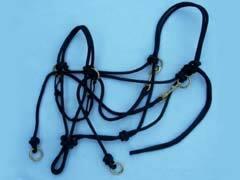 Horse Bridle Assembly – How To Adjust For Your Horse? 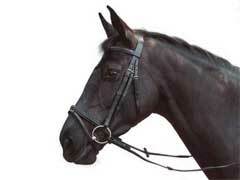 Making sure you have a properly fitting horse bridle is an essential part of owning a horse. Your bridle is an important part of western horse tack and should not be overlooked. You want to make sure the bridle is doing its job, holding the bit in place and giving you proper control of the horse. Buying a used western saddle requires a lot of homework by the buyer. Used horse saddles can be bought in person and of course online. A used western saddle can be a good idea or a bad one. 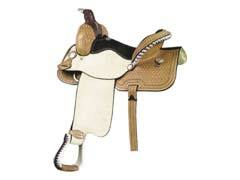 Used western saddles can be a great way to get a good deal and spend less. 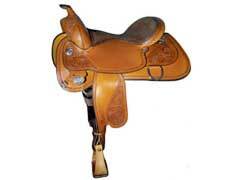 Western saddles hold their value well and can be maintained easily. The equipment used (tack) for western riding is different than English tack. Western horse tack developed from the needs of the cowboys, the English saddle and tack were not the most useful for them. The saddle, bridle, and bit have all changed. Western horse saddles changed from the English ones with the addition of the horn. The horn at the front of saddle gave the cowboys more stability when they were roping cattle.